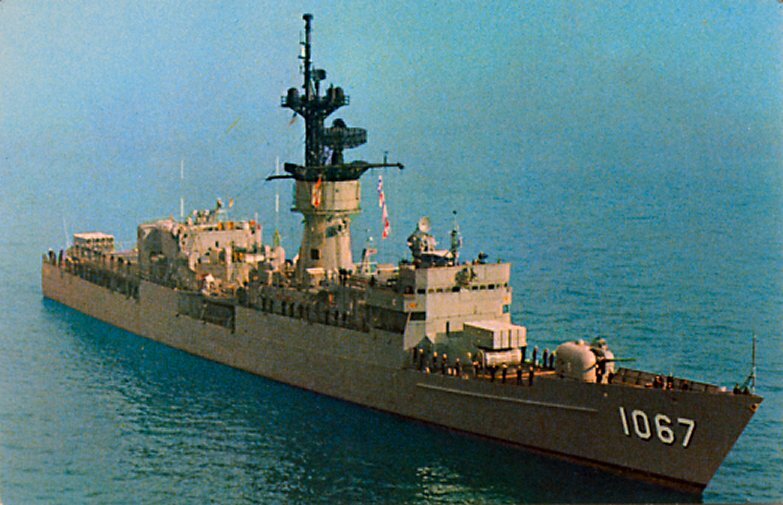 Tactical Voice Radio Call: "Guardian"
15 July 1967: Keel laid by the Todd Shipyard Corp., Los Angeles Division, San Pedro, Cal. 32k Francis Colton Hammond was born 09 November 1931, in Alexandria, Virginia, the son of Harry C. Hammond and Elvira Jenkins Hammond. He attended George Washington High School in Alexandria for grades nine and ten before moving to Washington D.C. to live with his father. He remained in Washington for only one year, attending St. Johns High School, a Catholic Military Academy. 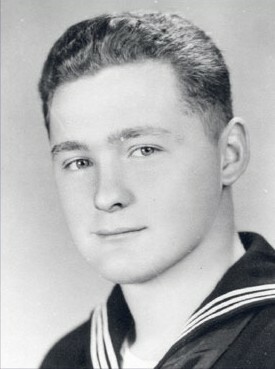 Francis returned to Alexandria to live with his mother and his aunt, attending George Washington High for his final year, graduating with the class of January 1951. While still in High School, Francis worked for a construction company, which was owned by his future father-in-law. He also played guitar in a band, which would play at local affairs and parties in the Alexandria area. After graduating he worked with his father at Timbermans Pharmacy in Alexandria, which was owned by his uncle. With the Korean War still raging, Francis knew that eventually he would be drafted. He wanted to be a pharmacist, but with the thought of the draft looming into view he knew it would be much longer before that could be possible. After discussing his future with his family, Francis decided to enlist. 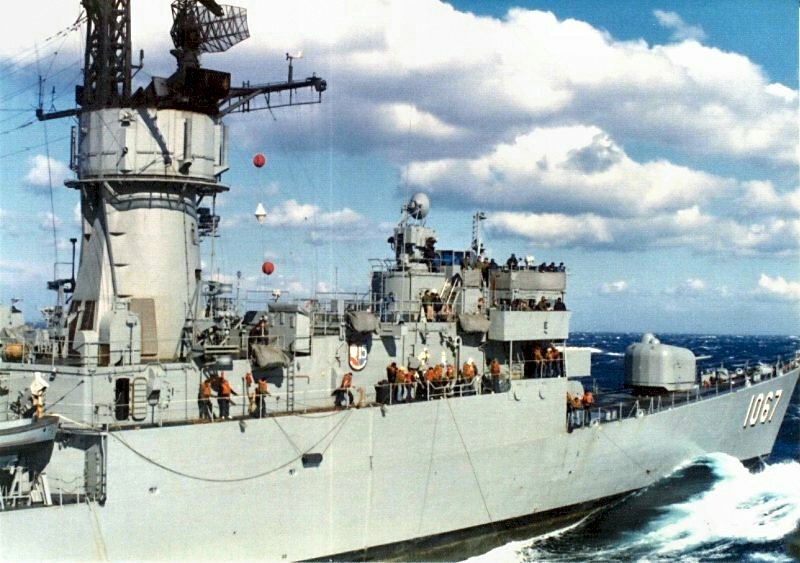 He joined the Navy on 20 March 1951, going through basic training at Great Lakes NTC, Illinois. 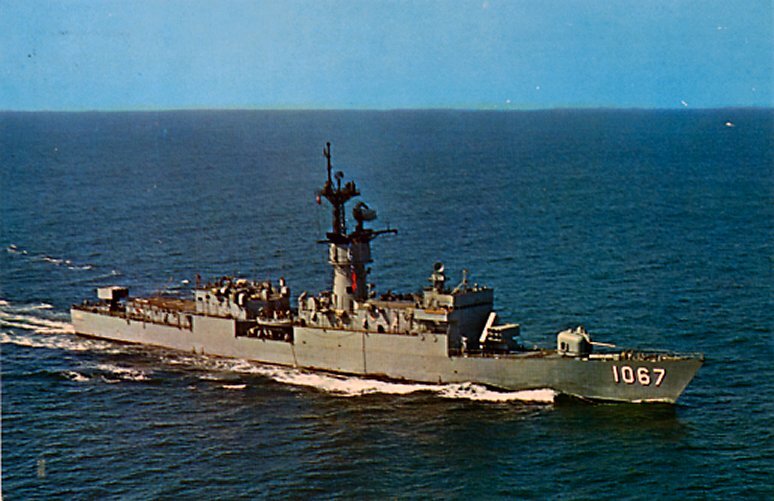 From there he was assigned to Mare Island, working in the base hospital. Soon after, he was given orders to Camp Pendleton, California, to train as a Hospital Corpsman. Knowing that he was to be shipped out to Korea, Francis requested, and was granted, permission to marry his High School sweetheart, Phyllis Ann Jenkins. They married on 19 June 1952. Married for less than a year and with a child on the way, Francis received orders to Korea. He arrived in Korea on 1 February 1953 and was assigned to 3rd Platoon, Charlie Company, 1st Battalion, 5th Marines, 1st Marine Division (C/1/5). He was killed during intense fighting at Outpost Reno by a mortar round at approximately 0300 hrs after refusing to leave during the withdrawal of his unit and continued to treat wounded marines from the relieving force of F/2/5 on 26 March 1953. This was just two weeks before Francis was to be rotated out of the combat area, and just 4 months prior to the end of the Korean War, 27 July 1953. 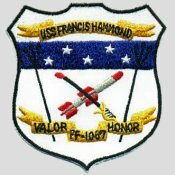 Hospital Corpsman Francis Colton Hammond was laid to rest with full military honors in Section 33 of Arlington National Cemetery. For his devotion to duty and courage under fire Hospitalman Francis Colton Hammond was awarded the Medal of Honor and Purple Heart. 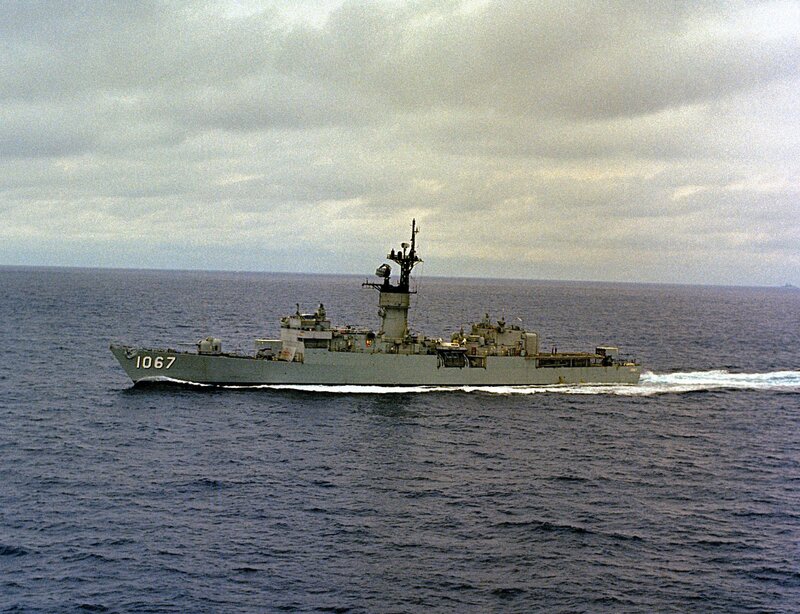 254k 17 June 1970: the California Coast - USS Francis Hammond (DE 1067) underway in the Catalina Channel while running trials. 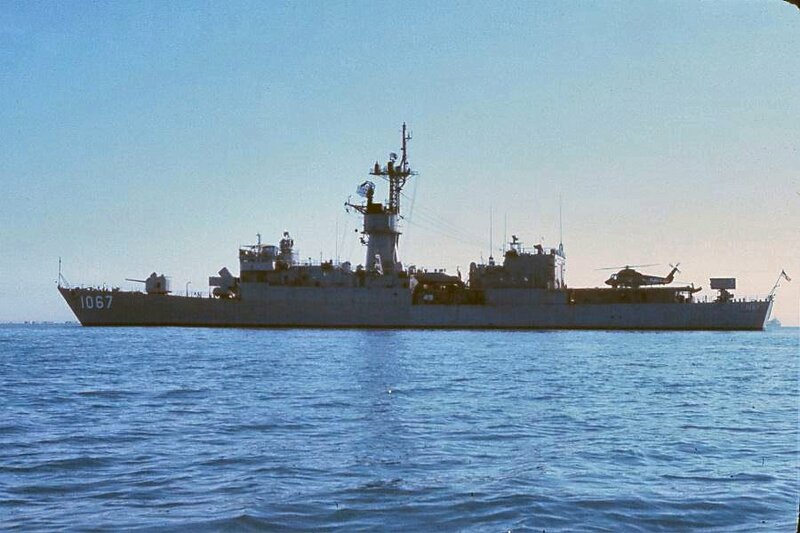 753k 23 May 1972: Subic Bay, P.I. 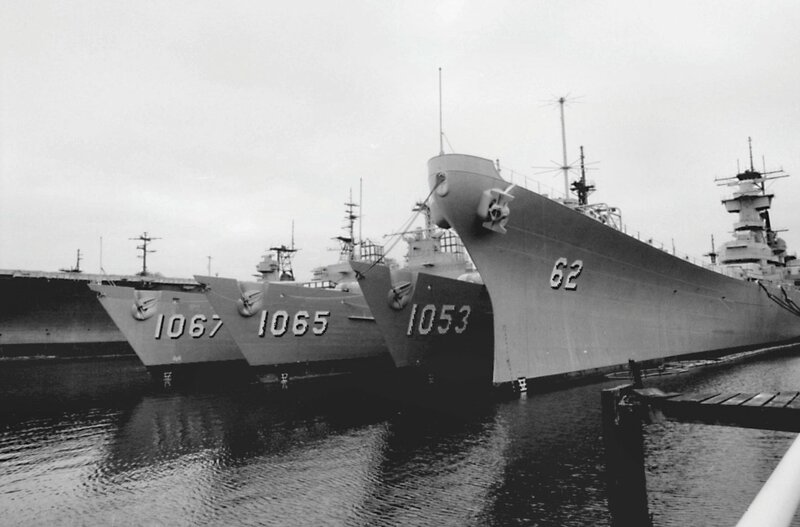 - USS Roark (DD 1053) and USS Francis Hammond (DE 1067) along side USS Piedmont (AD 17). 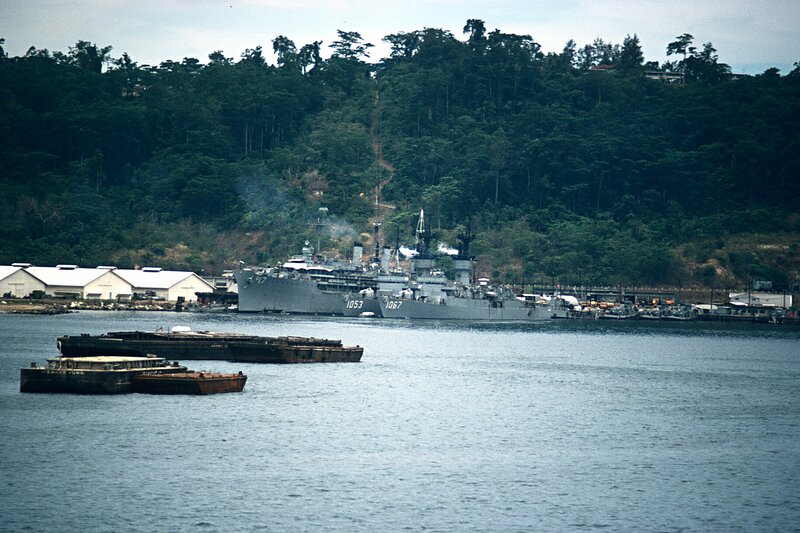 365k 14 September 1981: Naval Station Subic Bay, P.I. - An aerial view of the aircraft carrier USS Midway (CV 41) approaching Naval Facility Subic. 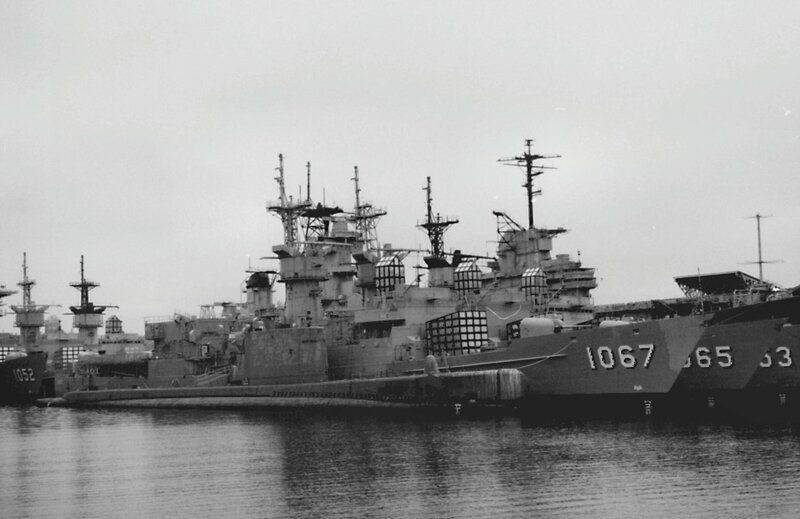 In the floating dry dock in the foreground is the Spruance class destroyer USS David R. Ray (DD 971). 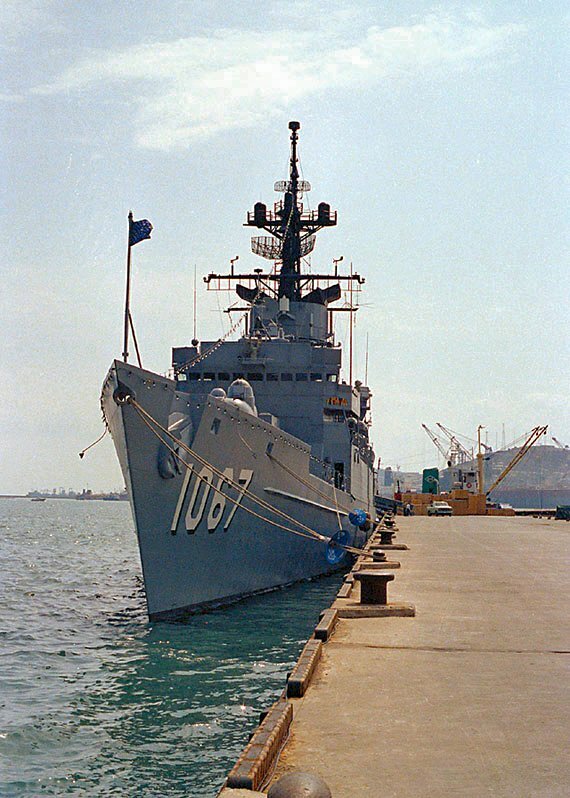 Moored side-by-side at the pier are the Knox class frigates USS Kirk (FF 1087) and Francis Hammond. 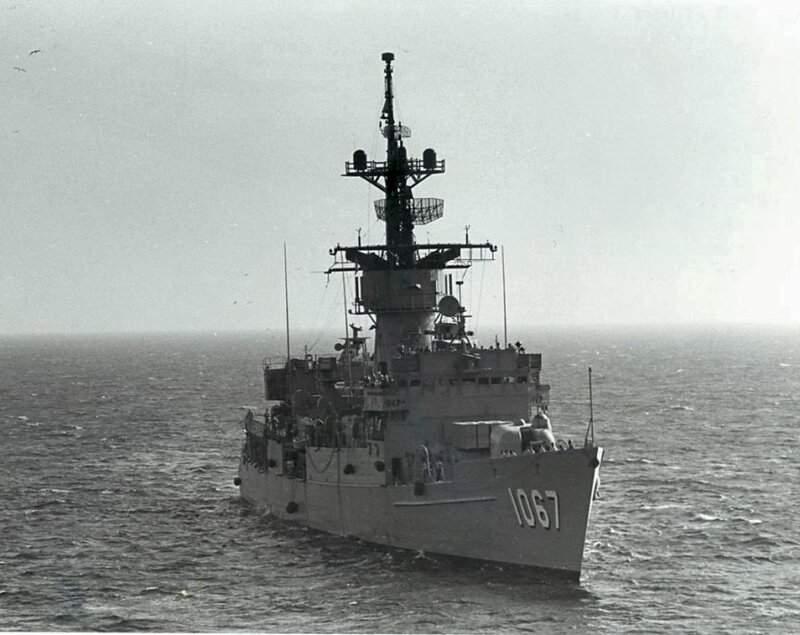 663k 25 November 1981: At sea - A starboard bow view of Francis Hammond underway. 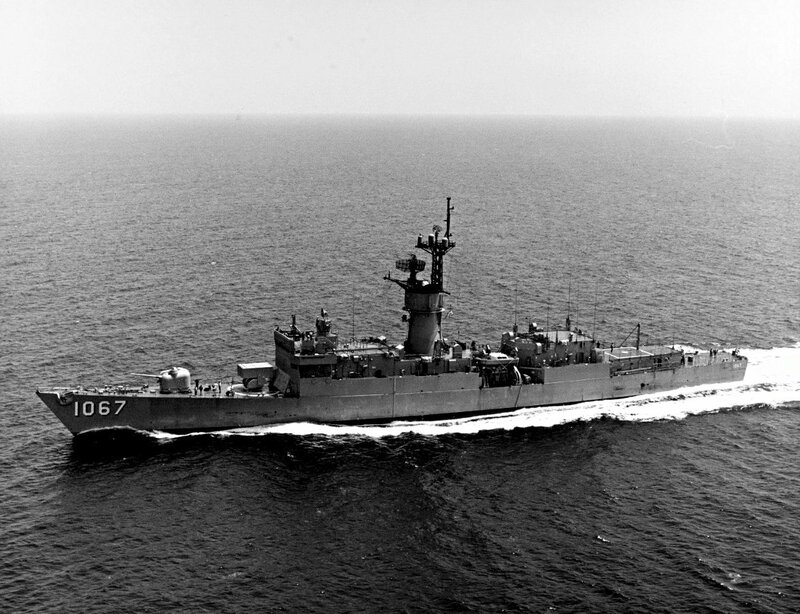 732k 25 November 1981: At sea - A port view of Francis Hammond underway. 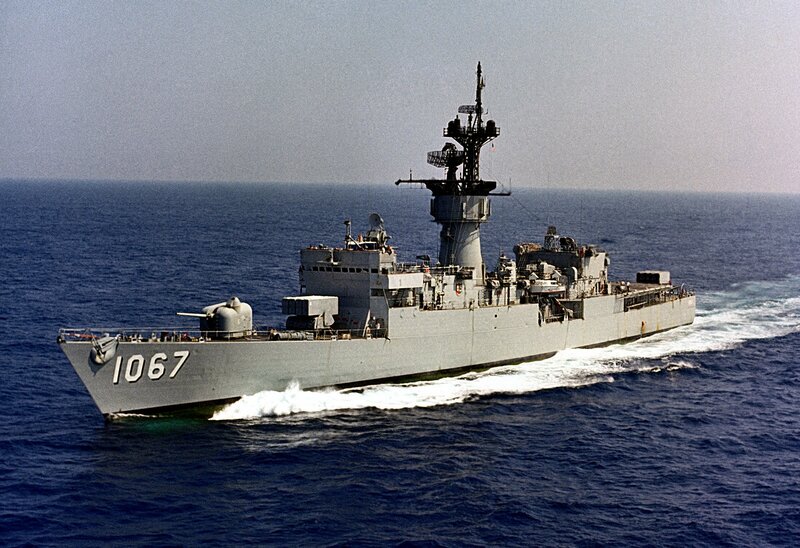 826k 25 November 1981: At sea - A port bow view of Francis Hammond underway. 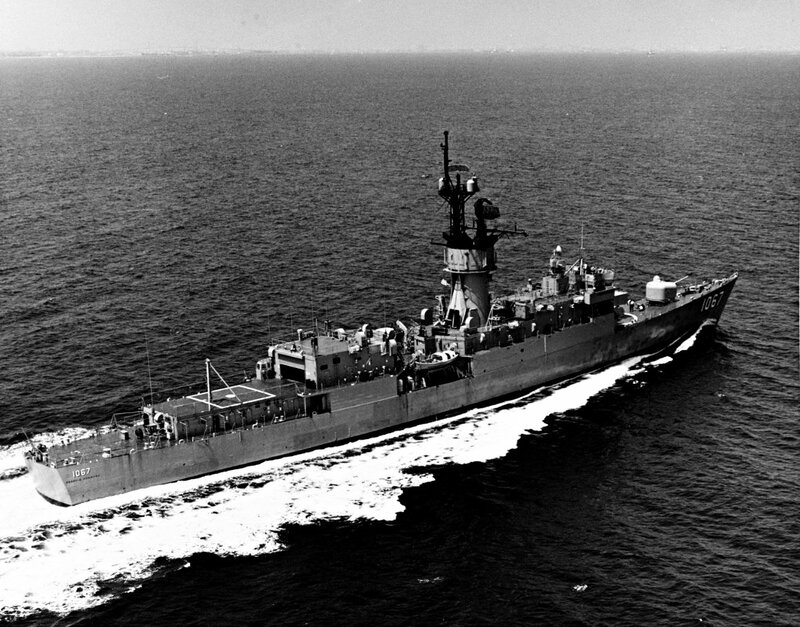 Caption reads: U.S.S. 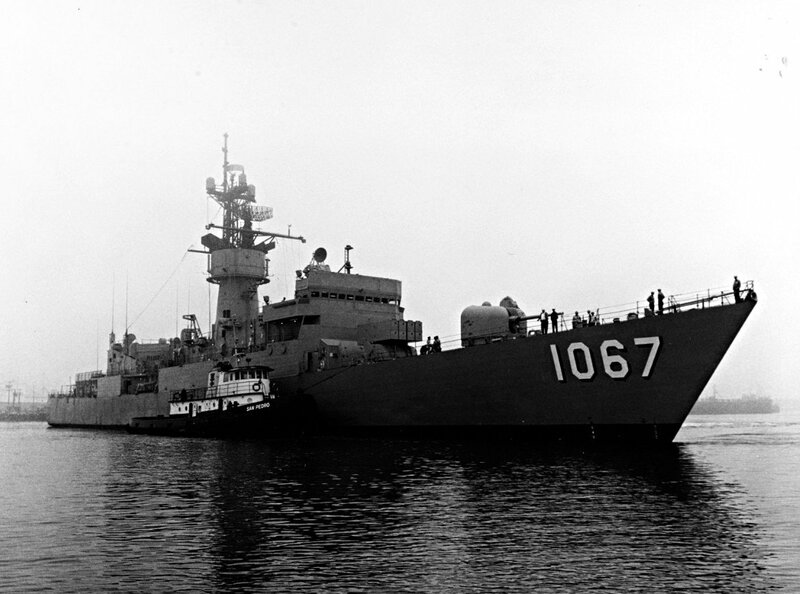 FRANCIS HAMMOND (FF-1067) - A Knox class frigate built by Todd Shipyards, San Pedro, Calif., and commissioned into the United States Navy on 25 July 1970. 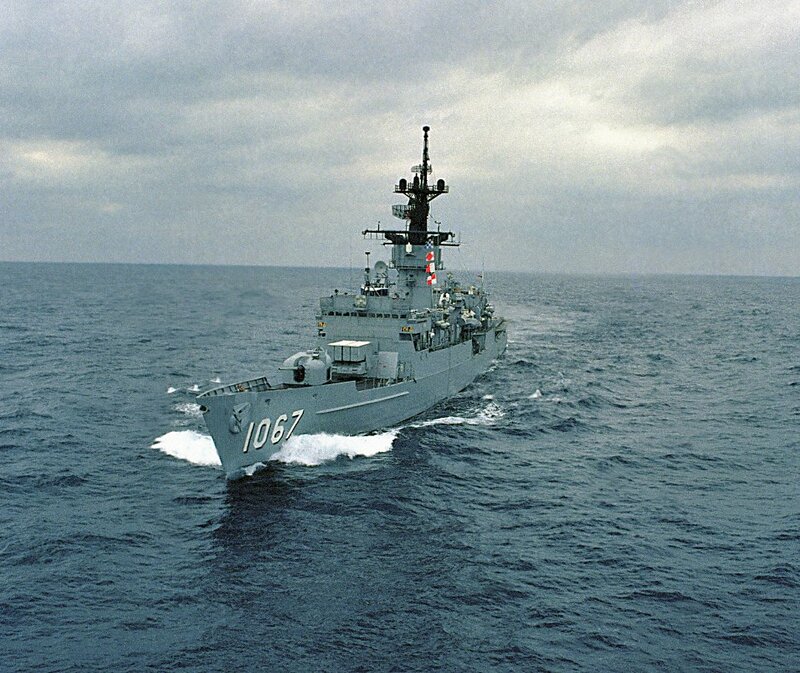 99k undated Wendell R. McLaughlin Jr.
130k 12 March 1982: At sea - A silhouetted port bow view of Francis Hammond on patrol in the Northern Sea of Japan. 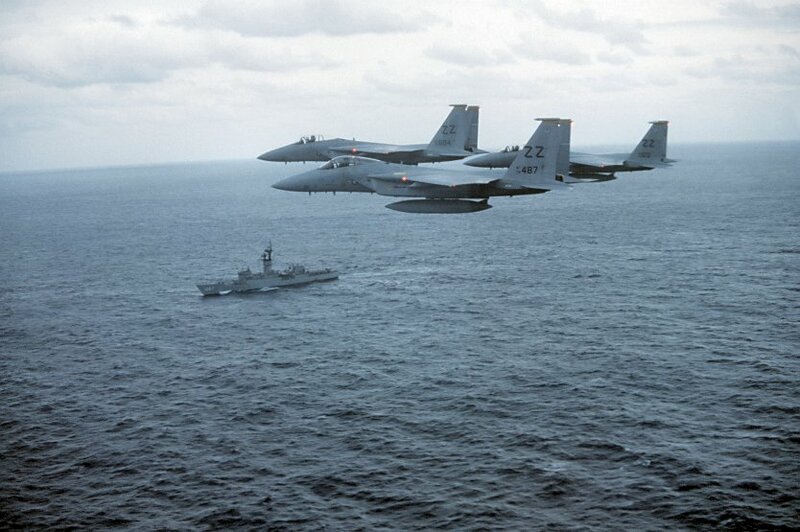 93k 01 February 1983: At sea - An air-to-air left side view of three F-15 Eagle aircraft flying over Francis Hammond during the exercise Cope Diamond / Coral Aces. 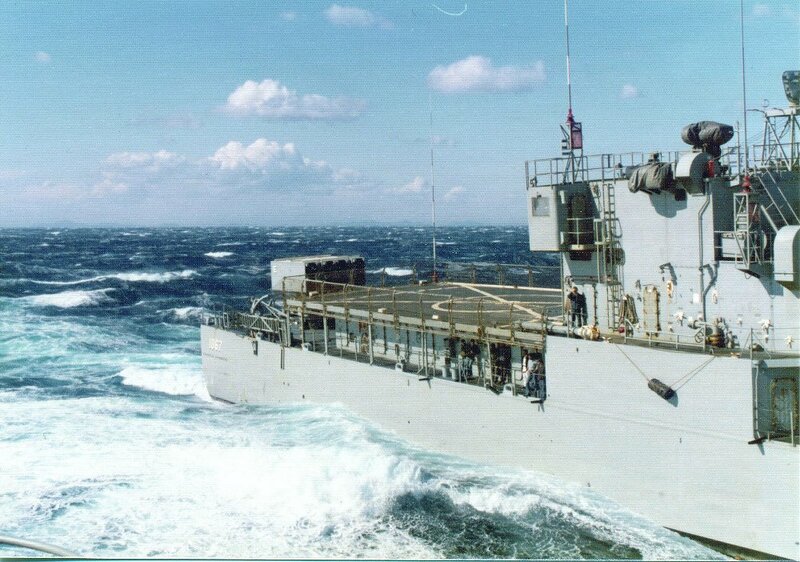 225k 26 February 1983: At sea - A port bow view of Francis Hammond underway. 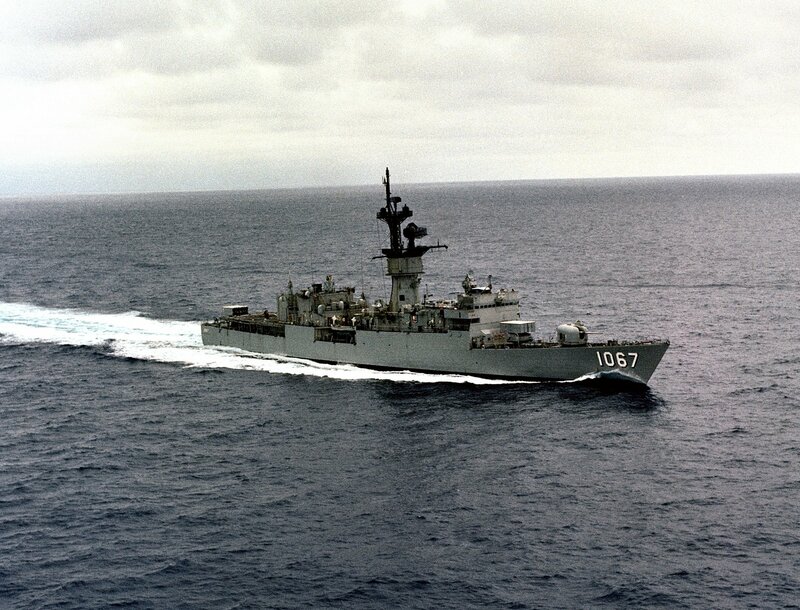 191k 26 February 1983: At sea - A starboard bow view of Francis Hammond underway. 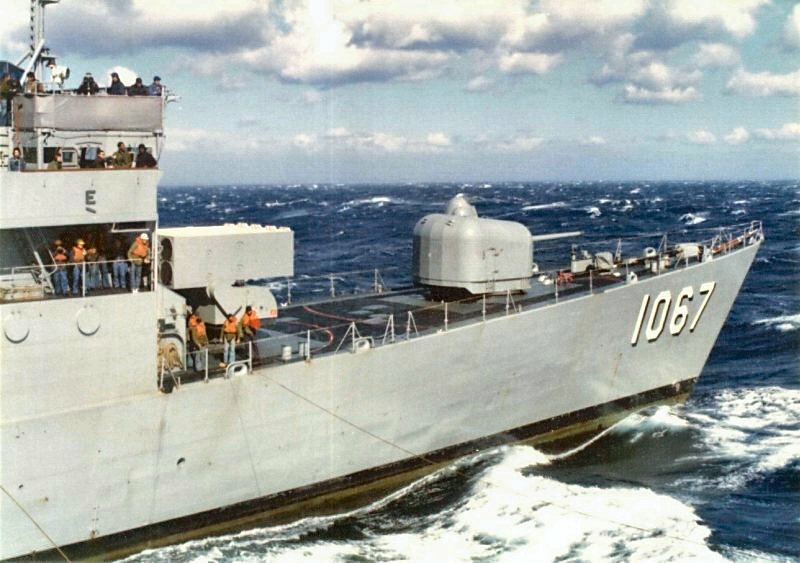 105k December 1986: USS Francis Hammond with repainted hull number of $10,670. 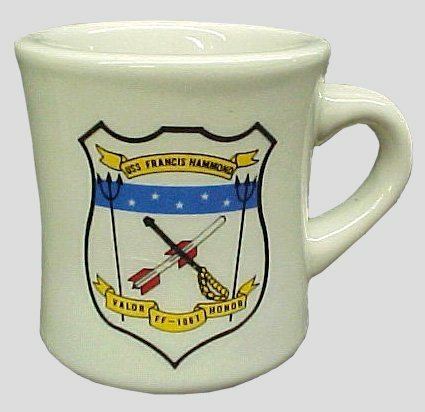 In 1986, the crew of the U.S. Navy frigate USS Francis Hammond (FF-1067) raised more than $11,000 for the U.S. Navy Relief Fund. 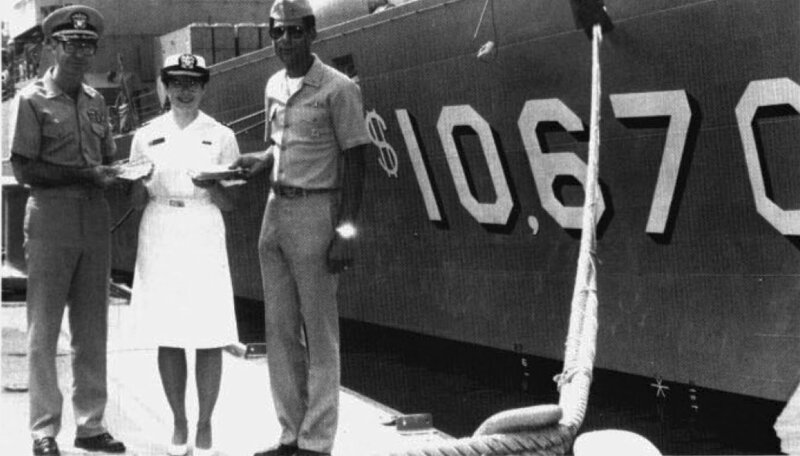 The goal had been to raise an amount of money equal to Hammond's hull number "1067", times ten. 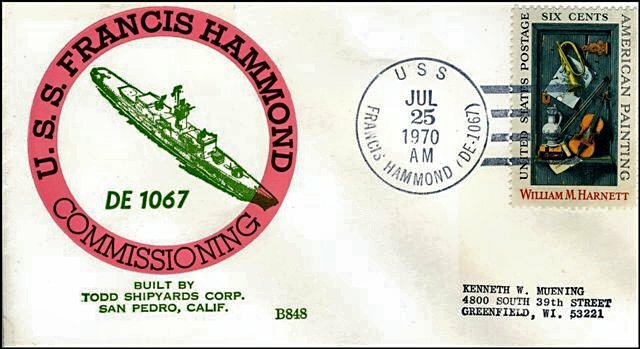 To commemorate the achievement, Hammond asked for and received permission to add a dollar sign and an extra zero to her hull number. 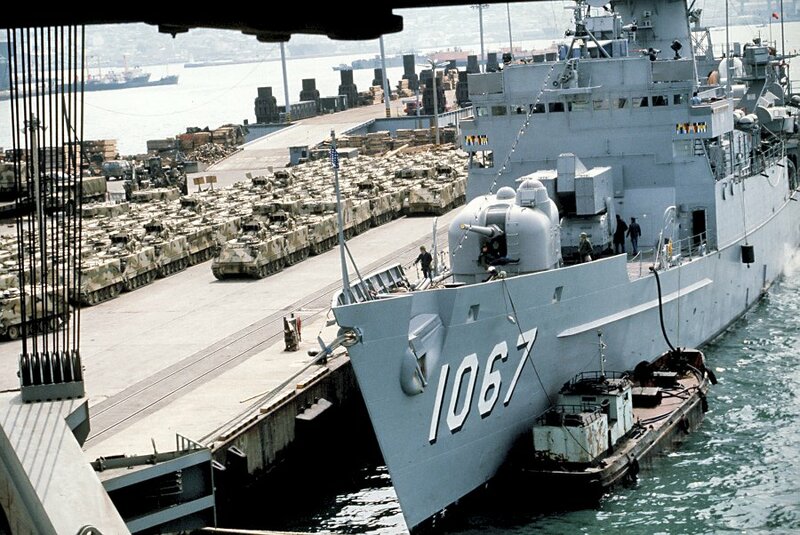 169k 15 April 1987: Pusan, Korea - M-113 armored personnel carriers fill the pierside staging area next to Francis Hammond. 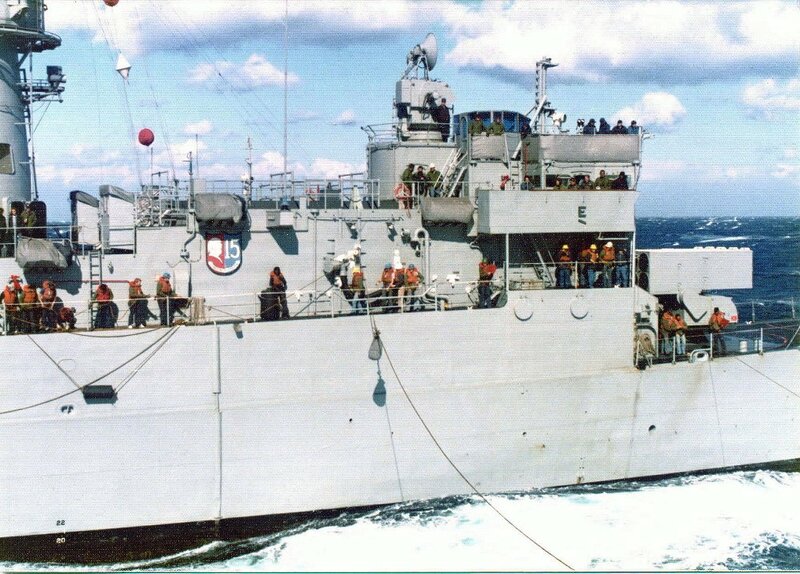 The M-113s are being loaded aboard the Ready Reserve Force ship SS Cape Horn (T-AKR 5068) for shipment back to the United States at the conclusion of the joint U.S. / South Korean exercise Team Spirit '87. 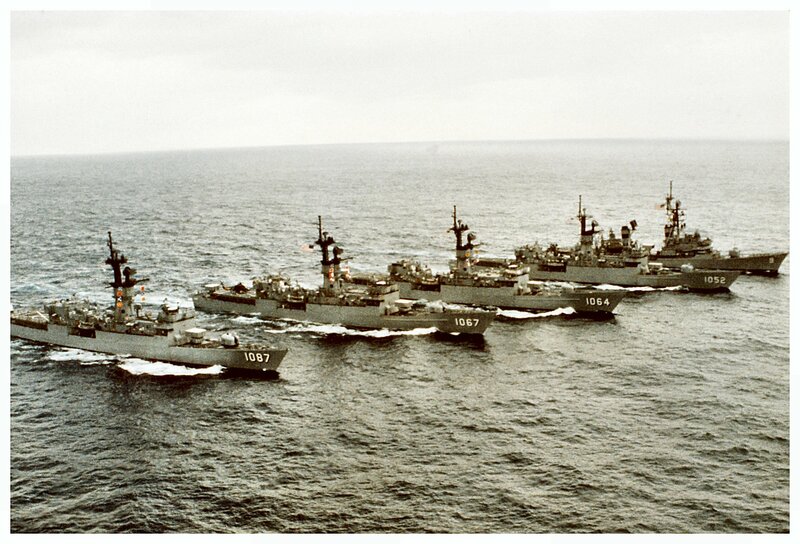 122k 01 October 1987: At sea - Five ships of the aircraft carrier USS Midway (CV 41) battle group steam alongside one another. 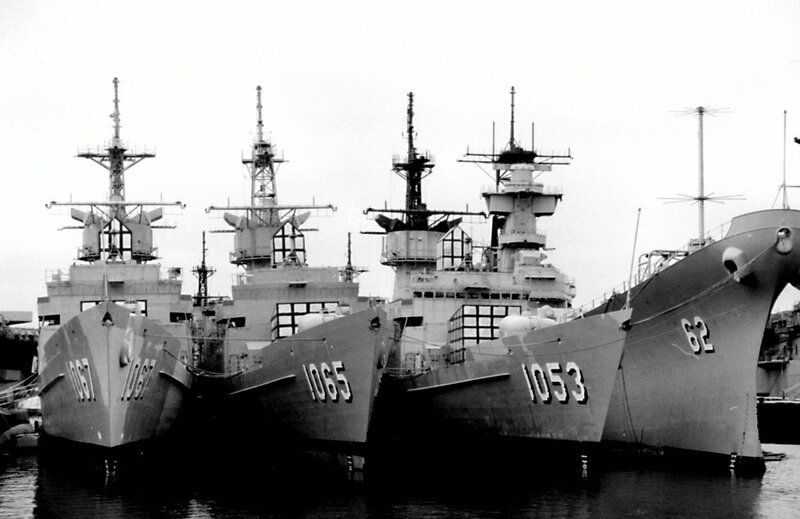 The ships are, from left to right: the frigates USS Kirk (FF 1087), USS Francis Hammond (FF 1067), USS Lockwood (FF 1064) and USS Knox (FF 1052), and the guided missile destroyer USS Towers (DDG 9). 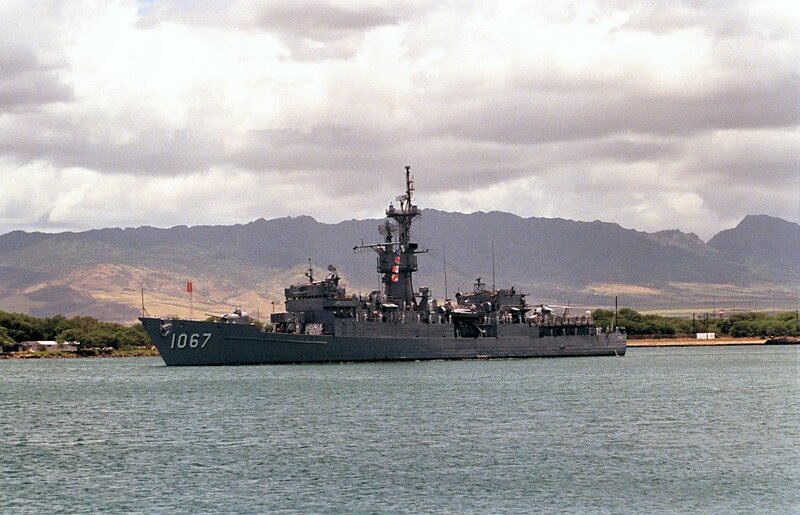 154k 01 June 1991: Naval Station Pearl Harbor, Hi. 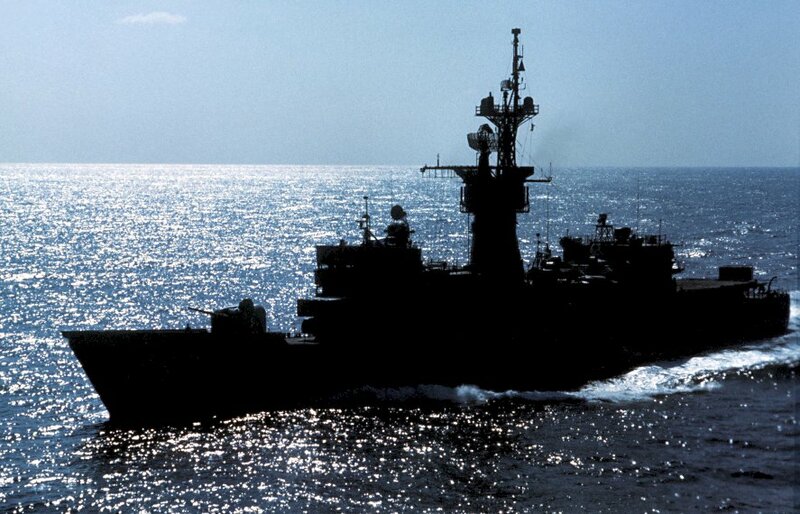 - Crew members man the rails aboard Francis Hammond as the ship departs from the naval station after a visit. 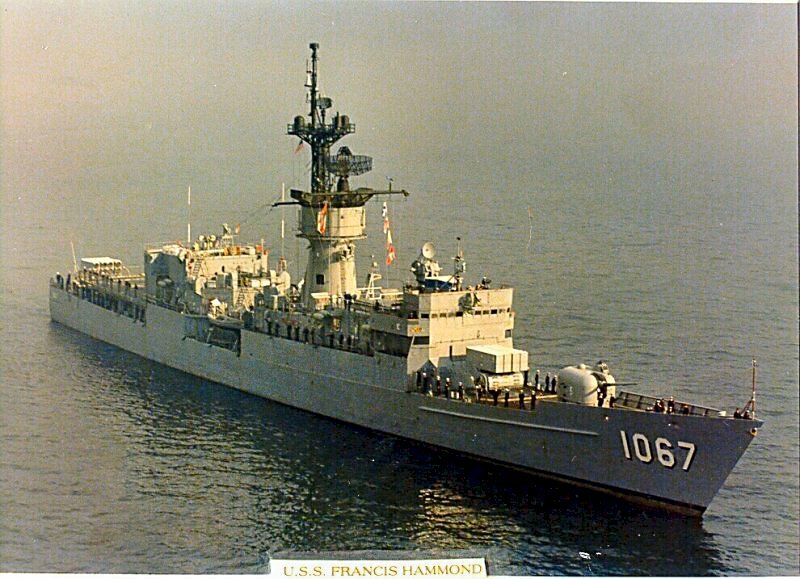 Francis Hammond is en route to its home port of Naval Station, San Diego, Calif., after serving in the Persian Gulf region during Operation Desert Shield and Operation Desert Storm. 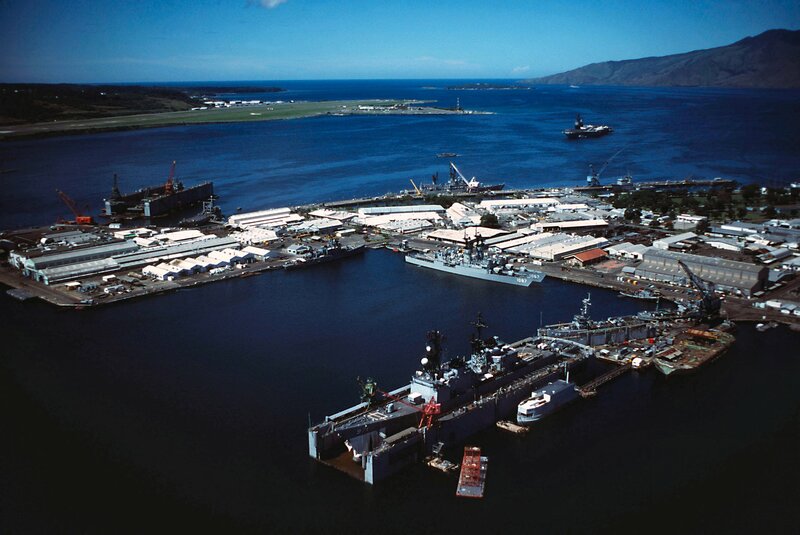 133k 01 June 1991: Naval Station Pearl Harbor, Hi. 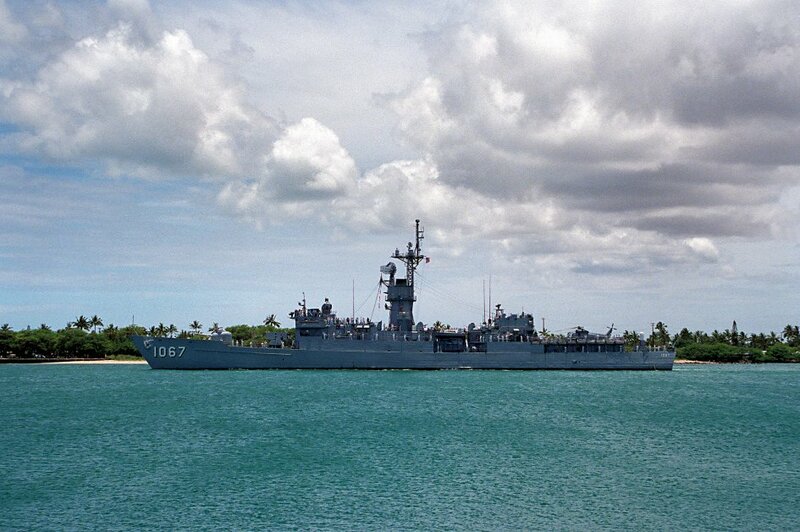 - A port beam view of Francis Hammond departing Pearl Harbor through the channel. 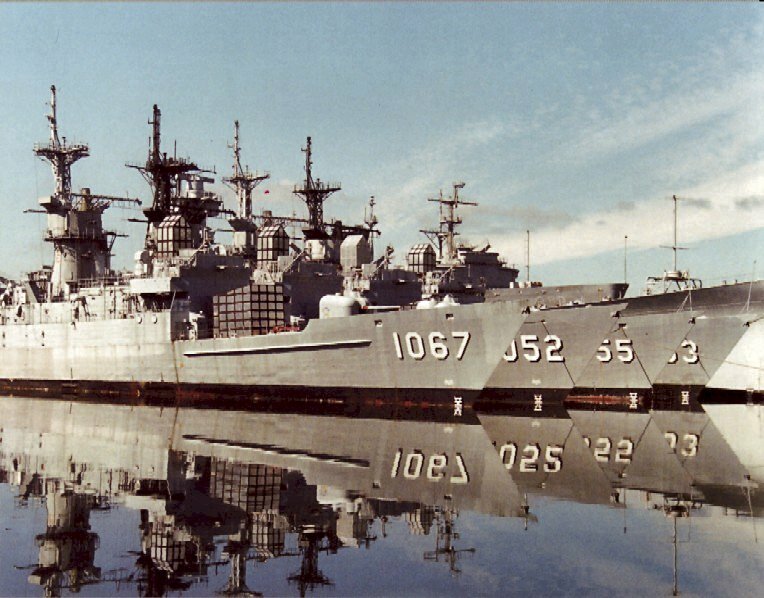 180k July 1994: Naval Inactive ship Maintence Facility, Bremerton, Wash. - Sailfish (SS 572), Francis Hammond, Stein (FF 1065), and Roark (FF 1053) in mothballs at the Puget Sound Naval Shipyard. 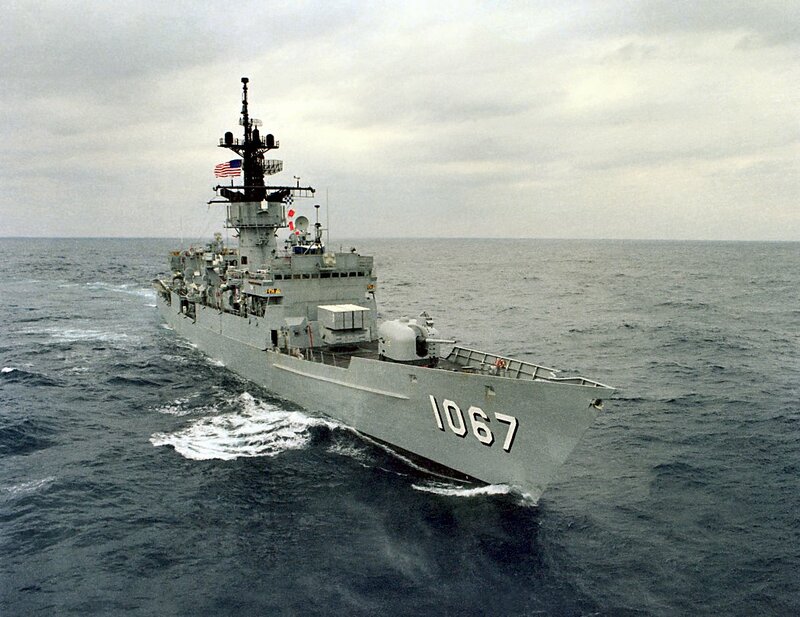 155k 27 July 1996: Naval Inactive ship Maintence Facility, Bremerton, Wash. - Francis Hammond, Stein (FF 1065), Roark (FF 1053), and New Jersey (BB 62) in mothballs, nested at the Puget Sound Naval Shipyard. 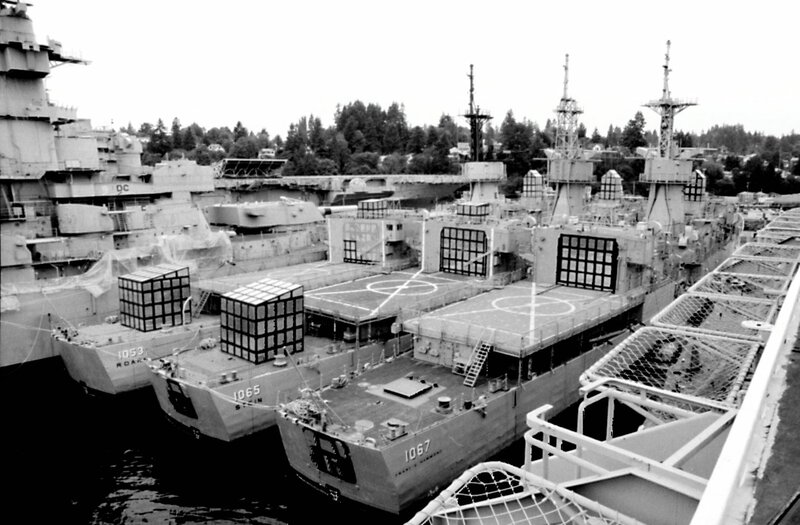 103k 17 July 1998: Bremerton, Wash. - Francis Hammond, USS Knox (FF 1052), USS Hepburn (FF 1055), USS Roark (FF 1053), and USS New Jersey (BB 62) at the Naval Inactive Ship Maintenance Facility, Puget Sound Naval Shipyard. 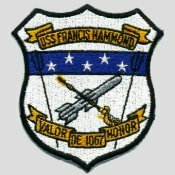 The DANFS history for USS Francis Hammond (DE 1067) is not presently available at the Naval History and Heritage Command. 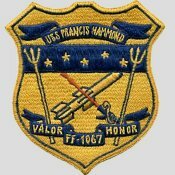 View the USS Francis Hammond (DE 1067) history located on Wikipedia.